125th and Lexington, NEW YORK -- This is a news piece about Whitey going to Heaven. It was inspired by Whitey going to heaven and also Gil Scott-Heron's passing, but don't tell his estate or they'll try to sue. We'd like to give credit where credit is due. 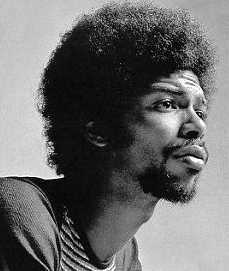 Gil Scott-Heron's funeral is scheduled for Monday, but will not be televised. It will be live. This article was nominated to become a featured article; however, due to several votes being devoured by a Mephit, it didn't make the cut (8.5/15). Don't let this happen again! For just pennies a day, you can prevent another travesty of this nature, or vote for other articles at Uncyclopedia:VFH. This page was last edited on 5 June 2012, at 07:28.